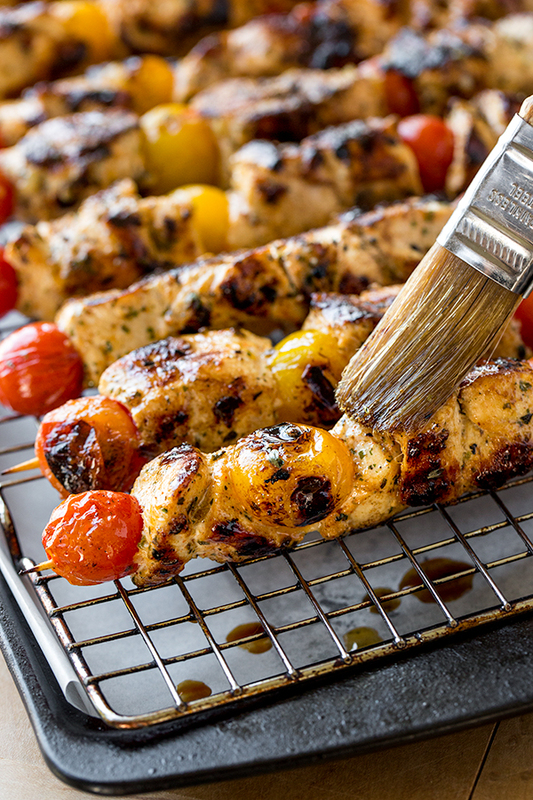 The spring encourages us to enjoy fresh, vibrant fare, like lemon chicken skewers with charred cherry tomatoes; it inspires us to open up our windows to feel refreshed, healthy and whole thanks to the healing sunlight and gentle breeze. Spring is a time of fragrant and lulling afternoon breezes and bright, invigorating sunlight that seems to seep straight down to the core of us and inspire a desire for newness. It is a time of year that carries with it much opportunity to begin again, and to change and breath new life into our existence, and into every room of our proverbial dwelling. 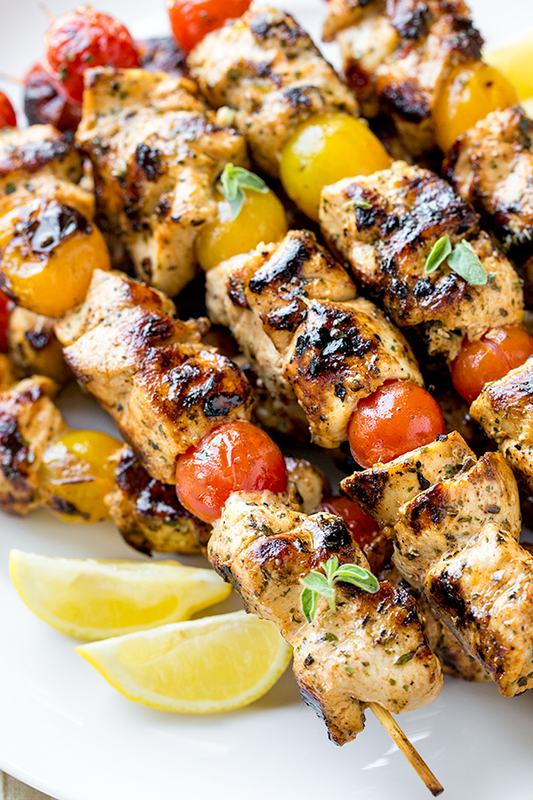 Spring invites us to celebrate the flavors and colors of food, celebrate in the way of lemony chicken and plump, tiny cherry tomatoes threaded onto wooden skewers and grilled to charred perfection, simply bursting with succulence and tender juiciness, feeding our body with healthy goodness. It’s also a time when many of us like to clean our homes (hence the expression “spring cleaning”) in an attempt to declutter and get rid of the “old” and bring in the “new”. We open our windows and allow the spring breeze to blow through and the sunlight to spill into the rooms of our homes, gently cascading over everything that lay in the path, disinfecting it, and infusing all with a bit of refreshing energy. But the light and the fresh air are not only beneficial to that which surrounds us physically, to our home and to our garden outside, but to our inner world—our soul—as well. See, somehow we intuitively know that light and fresh air are naturally therapeutic and healing; they’re naturally disinfecting and cleansing, as well as revealing. We know that when we have a little wound, we clean it and allow it to breath, allow it to be exposed to the air in order for the healing process to begin to happen. We know that it’s important to open things up in the darker rooms of our homes, at least occasionally, as to not allow for the dankness, the mustiness, the dust and the things that thrive in the dark to take hold and begin to take over, eventually creating an unpleasant environment to be in. We also know that every living thing needs the light and the air to stay healthy, to grow, to thrive, to be joyful and its very best, because light and air are life-sustaining. So very often we’d rather keep the windows closed on our inner lives, on our inner world, out of fear that the light may just expose some not so pretty truths, or some long-kept secrets that we’ve stuffed way down deep in order to not have to deal with them, or some methods of operating that we employ that give us a (false) sense of having an upper-hand that we’d rather continue to use than become aware of and shed, once and for all. Each of us have things, whether small or big, that we’d rather keep in the dark than have to face and then deal with. And some of those things have been there for so long that we’ve possibly even forgotten about them, but because they’ve never been scrutinized in the light, they’ve quietly taken root over time and have spread into other areas creating repercussions that may not be so favorable. Opening up our inner selves, our “darker rooms”, to the light and the fresh air can be incredibly vulnerable, as there is potential for our world to be turned upside down when that is done. But when we do, we also expose ourselves to the process of revelation, of truth, which in turn begins a process of understanding, then of healing, and then of changing, until finally, that space that was kept in the dark and neglected (and perhaps even denied existence) is a healthy, vital and clean place to function out of, once again. Our Creator has provided all living things with the light and the air so that we may have understanding, healing, health, and growth. The light is where the truth is revealed, and where a re-birth can occur; it is where genuine, authentic living takes place, and where we come together rather than become separated. Isn’t it time to fling open our windows? 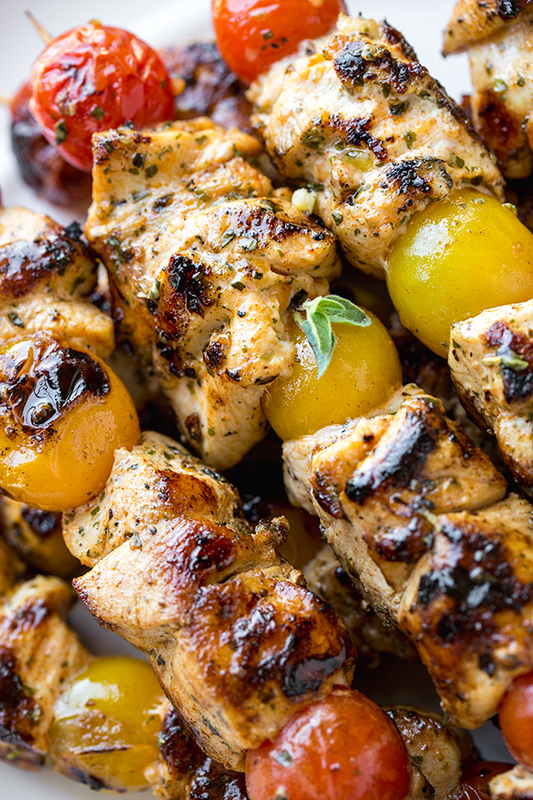 -Add the cubed chicken to a bowl, and drizzle in about 3 tablespoons of oil; add about 1teaspoon of the salt, the black pepper, dried oregano and parsley, the paprika, the garlic, and the lemon zest and juice; add in the cherry tomatoes, and toss everything well to coat. 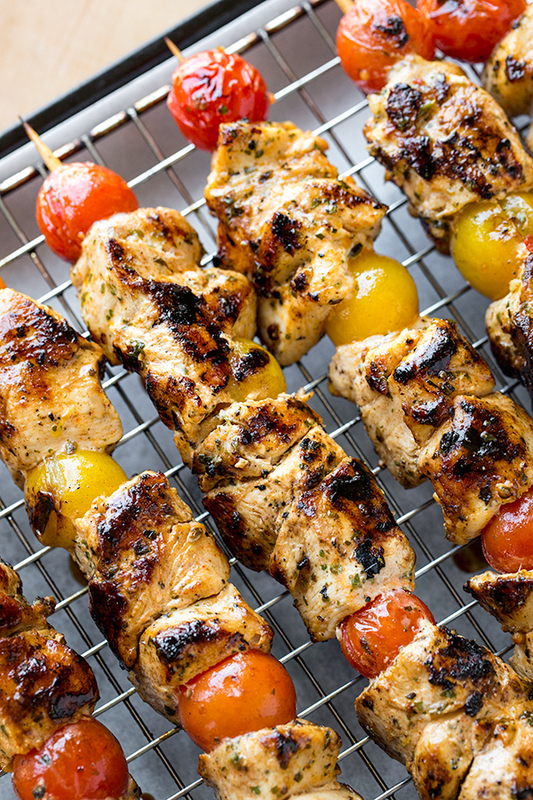 -Skewer equal portions of the meat and tomatoes onto water-soaked wooden skewers (prevents them from burning during grilling), and grill immediately, or allow the meat the marinate overnight, if doing ahead. 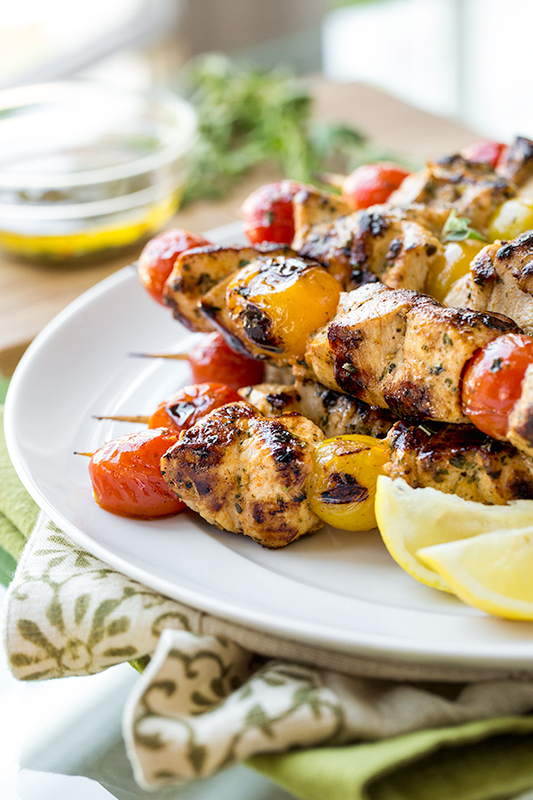 -To grill, set a grill pan over medium to medium-high heat, and add a batch of skewers, cooking them for several minutes on each side until the meat if golden-brown and slightly charred, and cooked through; repeat with all skewers. 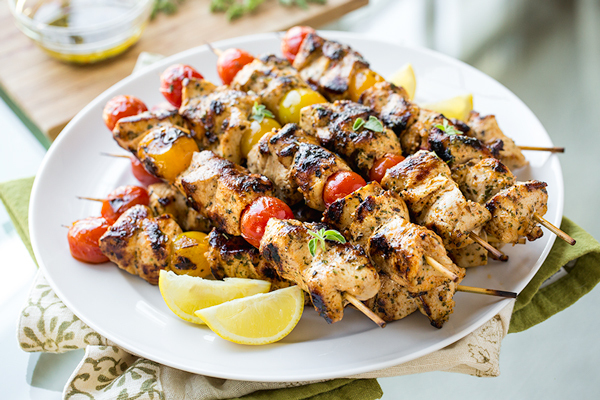 -To finish, drizzle the Garlic-Herb Oil over the skewers and sprinkle the fresh oregano leaves over top, and serve. 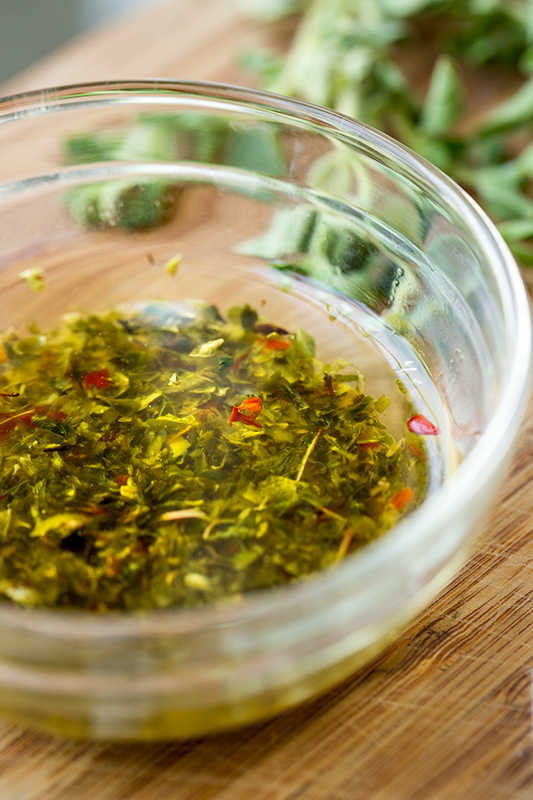 -Whisk together all ingredients and keep in a ramekin or small bowl; use immediately, or store in fridge. 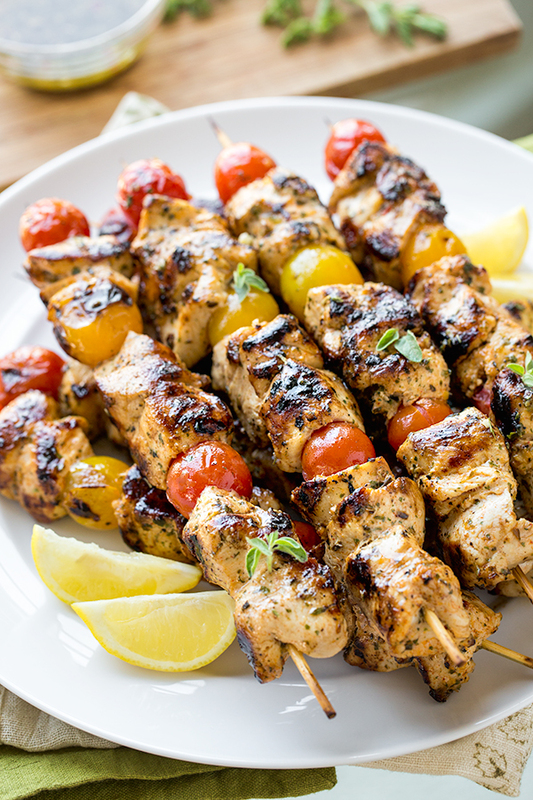 Being retired is an awesome blessing for me and a wonderful joy to start with your”Grilled Lemon Chicken Skewers” a wonderful entrance into the creative time of my life!!! Thank you!!! Lynda, I’m so excited you will be trying these! And may your retirement and your “creative time of life” be blessed!